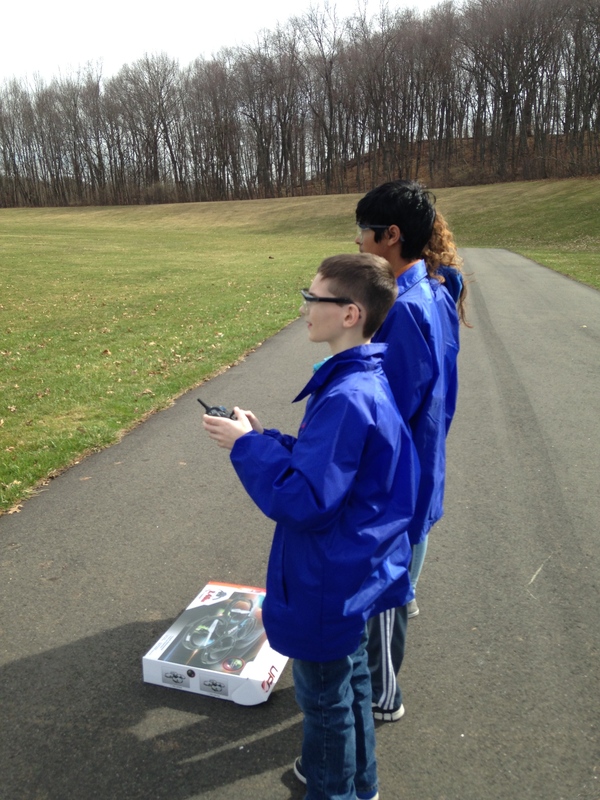 At the Academy of Aerospace and Engineering, students are learning about remote sensing, mostly using aircraft or spacecraft. We have looked at many different remote sensing programs, both airborne and spaceborne. We have also coupled this topic with the current earth science topic we are learning, plate tectonics. 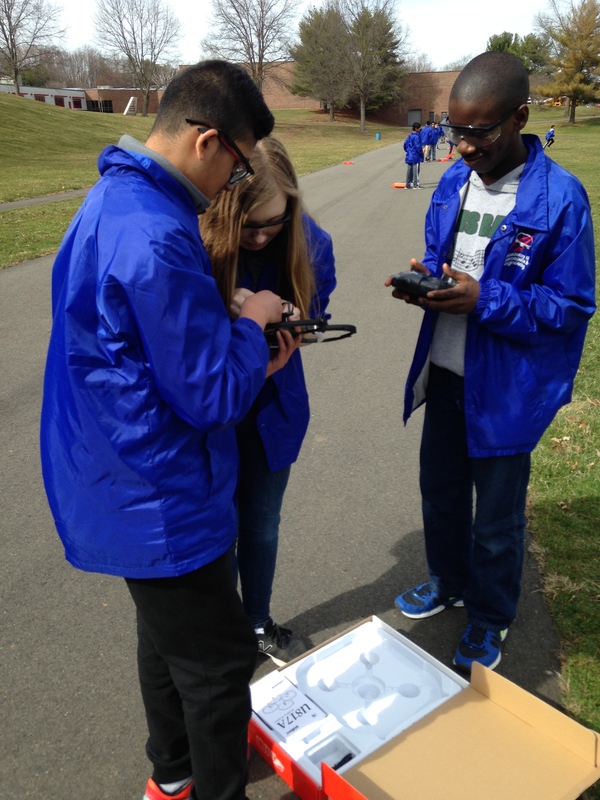 This past week we had a design challenge where students used remote sensing to make an earthquake warning device. 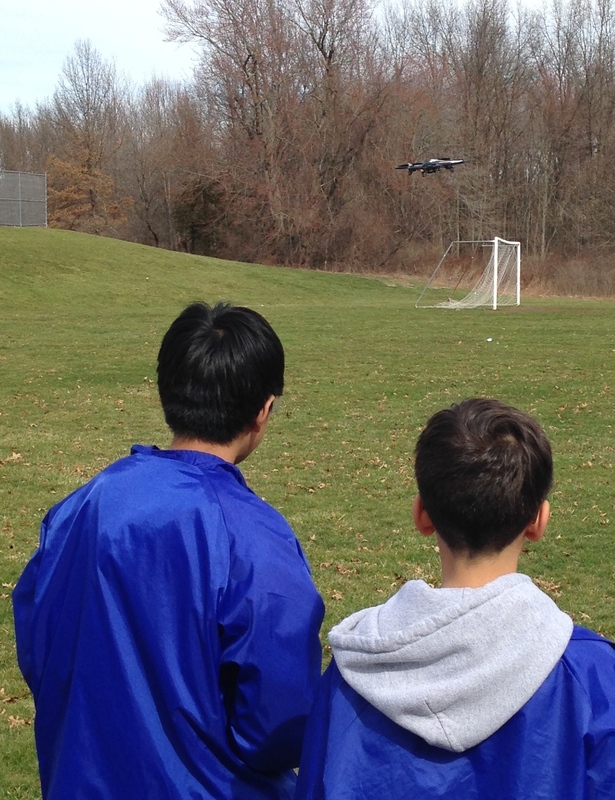 In order to make remote sensing more real, we have also used radio controlled quad-rotor helicopters, or drones, to take photos and videos around our school. 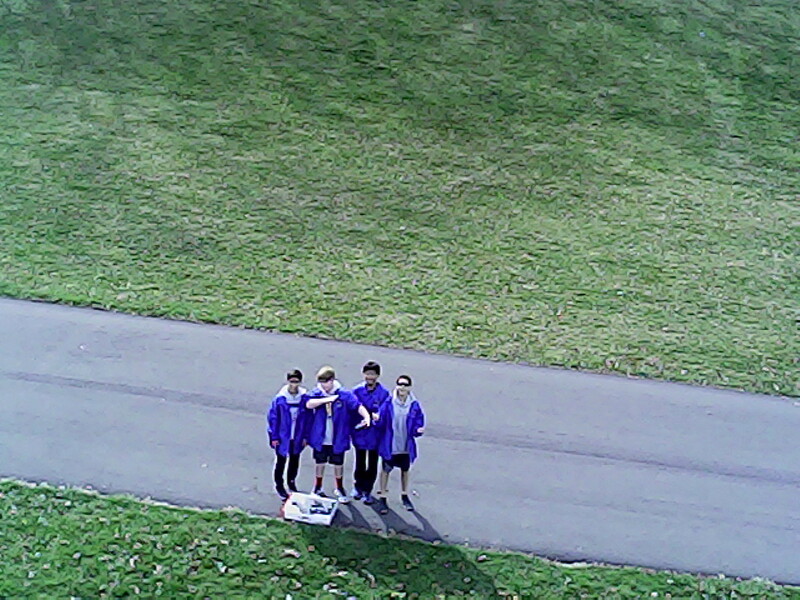 Last week’s post featured some photos that students took with drones. Here are a couple more photos, plus check out this YouTube video. In the next week, students will learn how satellite orbits vary to meet different remote sensing missions. The week after that, we will look at remote sensing in the ocean, as much of the earth science of plate tectonics is based on oceanic research. The goal with all of these topics is to provide students a rich experience so that what they learn is not a series of sterile topics, isolated from one another, but instead an integrated network of science, technology, engineering and math topics with many connections and applications. In writing and implementing the curriculum for the new Academy of Aerospace and Engineering at John Wallace Middle School, my basic approach has been to integrate subjects using science, technology, engineering, and math (STEM) concepts as a central theme for all the courses. Integration in a general sense means reiterating the theme or concept in each class. In a more specific sense, it means taking a concept learned in one class and applying it in a different lesson in another class. The fundamental purpose is to tie classes together in the minds of students so that they connect the learning in each class to the central concept or theme. Students do not learn as well when classes are discrete and unrelated. Integration not only helps students make connections, but it also provides a way to reiterate a concept without boring the students by simply repeating it. One example example of integrating lessons around a concept involves our current science unit and the associated aerospace theme. The science unit concerns the Earth’s composition and how the surface changes. I connected this topic to the aerospace concept of remote sensing. 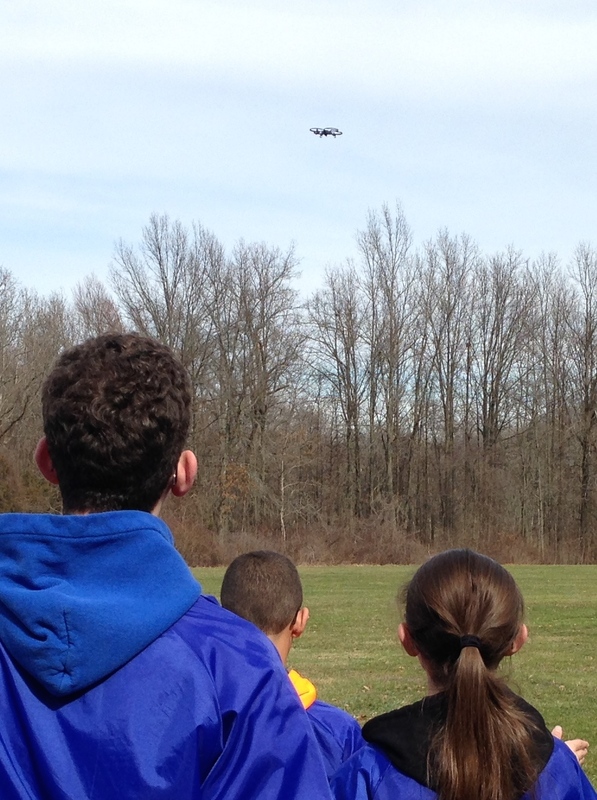 We will study the Earth by seeing how we could observe it from the air or space. 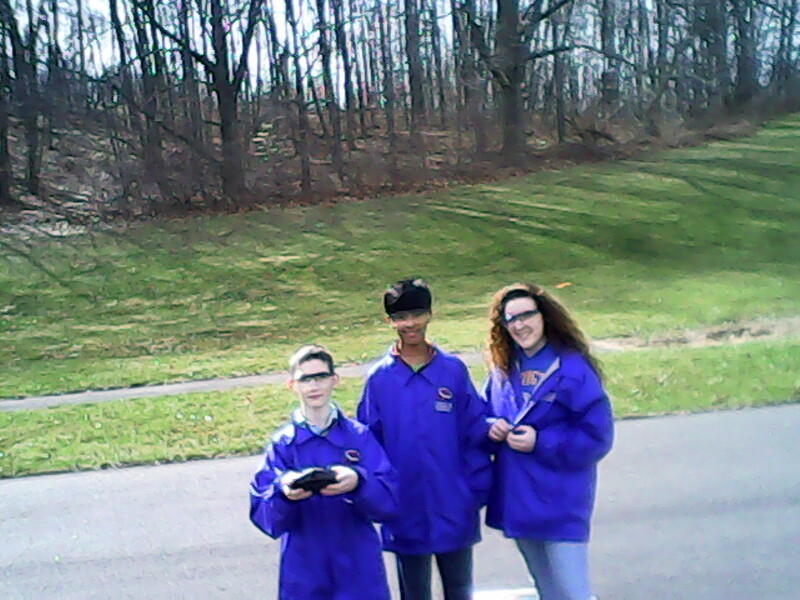 However, students would not understand remote sensing if I just launched into it, so I have spent a couple weeks having them learn about the electromagnetic spectrum and wave motion. First we reviewed what the electromagnetic spectrum was. 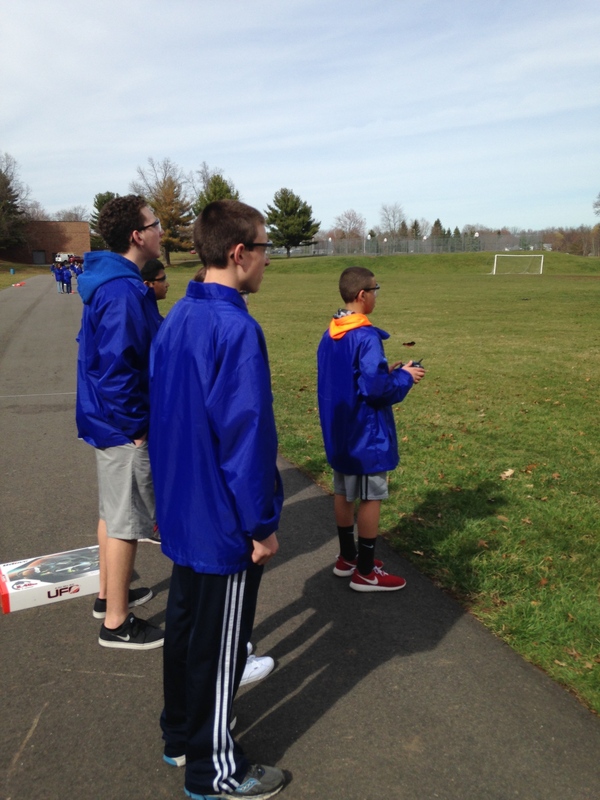 Then each student group, or crew, was assigned a part of the spectrum to research and explain to the class and to give examples of using it for remote sensing. 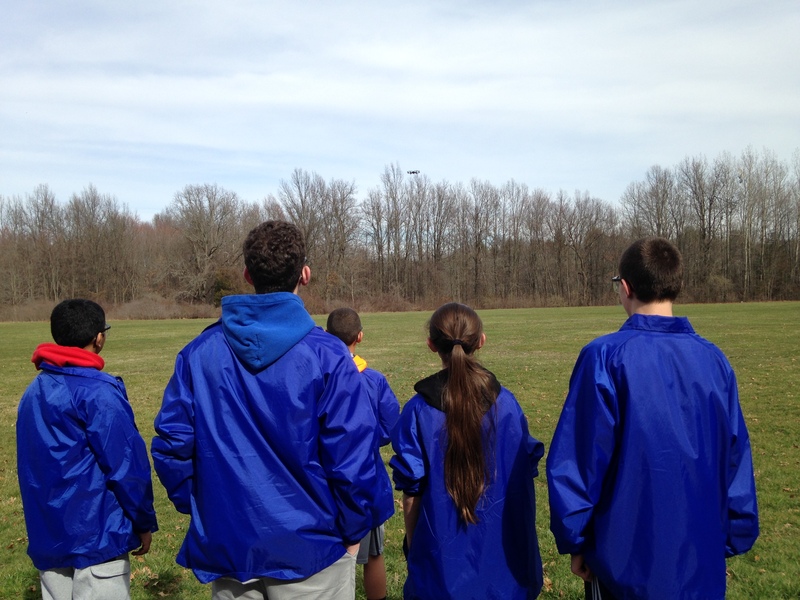 Then we looked at how the atmosphere and water can absorb or reflect various parts of the spectrum, and we connected this idea to how we could use the various parts of the spectrum for remote sensing. We also flew a flight simulator mission and looked at all of the aircraft devices that relied on the electromagnetic spectrum and that provided remote sensing. Finally we studied the wave motion of electromagnetic radiation so that the terms of “wavelength” and “frequency” meant something. We used Slinkys to do an inquiry lab, and the students could observe and measure or calculate wave motion firsthand. The calculations used the same process we learned in algebra class, solving literal, linear equations. The culminating activity for the remote sensing theme will be a series of design challenges to develop aircraft or spacecraft remote sensing platforms for specific missions that I will give to each crew. The students will use their STEM skills to accomplish the challenge, and they will relate all of these to the central theme of remote sensing. Another example of an integrated set of lessons involved a short science unit on food preservation. I covered this unit right after we finished the human body systems, including the digestive system. How does food preservation relate to aerospace, our academy’s theme? My solution was to relate food preservation to a current problem that NASA is tackling: how to plan the food supply for a mission to Mars. The mission to Mars has been a recurring theme in all of our classes. For example, during the human body systems unit, we looked at the physiological challenges of long term space travel. Now we could add to this previous study by focusing on the food supply challenge. First I had the students study and report on various food preservation technologies. Then we researched what NASA has done so far to develop food supplies for the International Space Station. Finally I gave the students a design challenge – each student crew had to develop a food supply for four astronauts on a five-year mission to Mars and back. They had to count the calories and report on the general plan for the astronauts’ diet and show how this diet would provide not only the needed calories, but also the required nutrients. To add some fun, I made each student crew present their design in a “Shark Tank” environment where our principal, Mr. Dave Milardo, and our intern, Kate Morehead, judged the presentations. The crews did an outstanding job identifying the challenges and providing realistic solutions. All in all, it was superb way for students to learn about food preservation in a way they won’t forget, as it relates to the exciting theme of a mission to Mars. 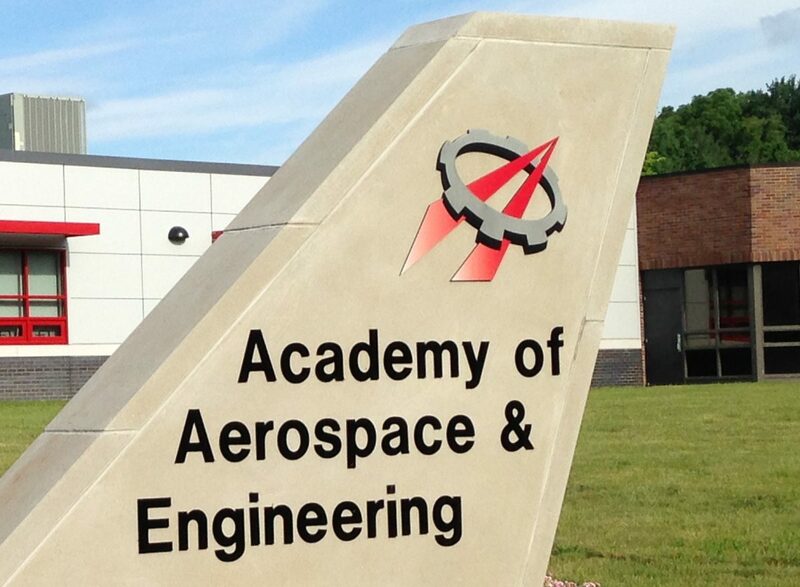 Academy of Aerospace and Engineering Create a free website or blog at WordPress.com.